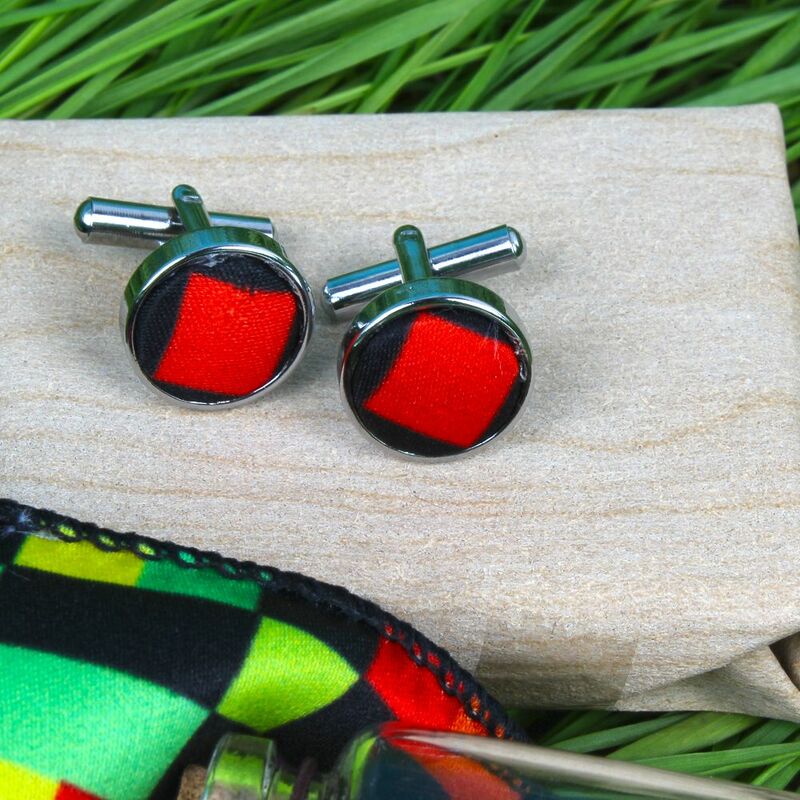 Product Consists : Polyester Chexs Print Cufflinks and Handkerchief along with Message Scroll Bottle (Special Instruction : Personalized Text Message accepted maximum 25 characters only). Love Fragrance has the power to change every ones mood so usually people love to wear this fragrance. 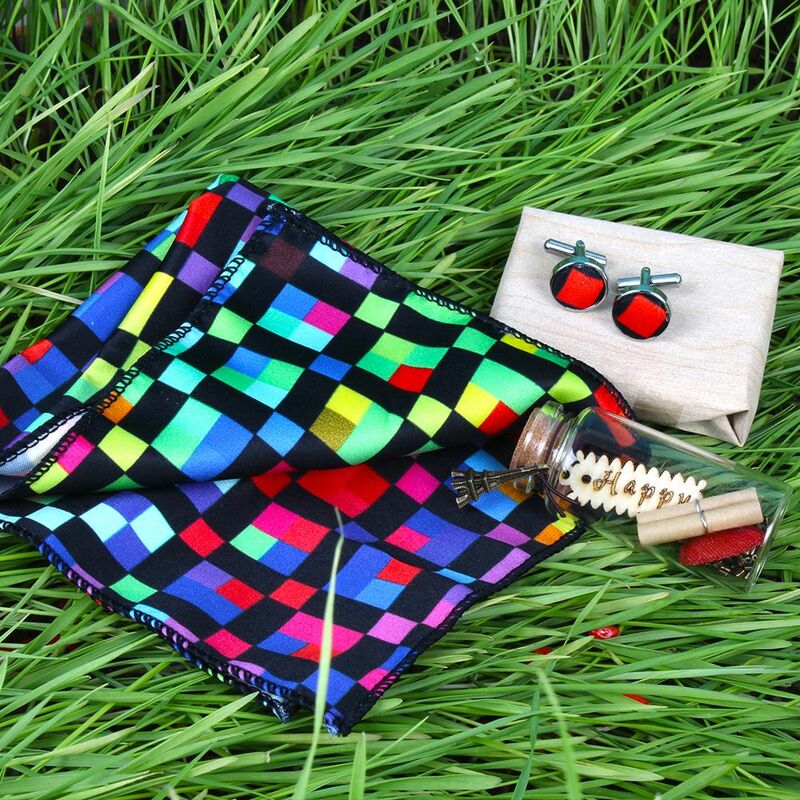 This combo Polyester Chexs Print Cufflinks and Handkerchief and Message Scroll Bottle can be a perfect gift to delight any man. It is the perfect gift to express your love and gratitude. It expresses deepness of love to your love. 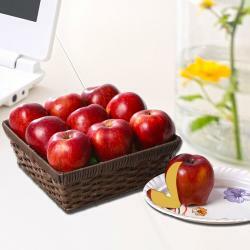 Love gifts can be gifted for plentiful reasons with their own meanings so special thing is with one mouse click you can order. 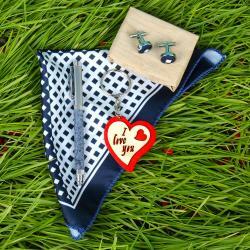 Add a special touch to the lively and youthful personality of your dear ones through this gift set from Giftacrossindia. Sweet way to make your handsome partner to smile at silly tiny gifts and delighted feelings and to see the glow of eyes for each surprises.....just love and be loved. It is the Perfect Gift. 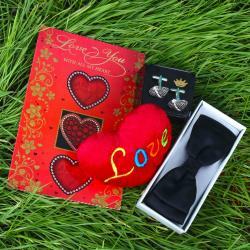 So, express your feelings for someone you love on special days like Giftacrossindia.com brings to you this awesome gift items, which is all set to make your special men to feel more special. Browse your favorite products, it is very conveniently available for online shopping from anywhere in India with Free Shipping. 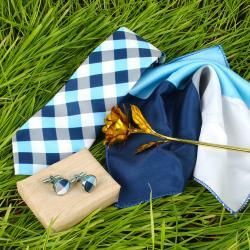 Product Includes : Polyester Chexs Print Cufflinks and Handkerchief along with Message Scroll Bottle (Special Instruction : Personalized Text Message accepted maximum 25 characters only).